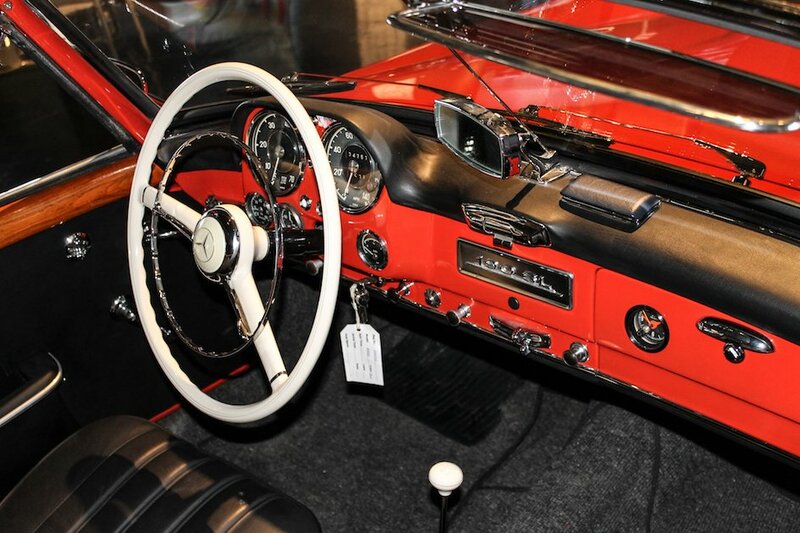 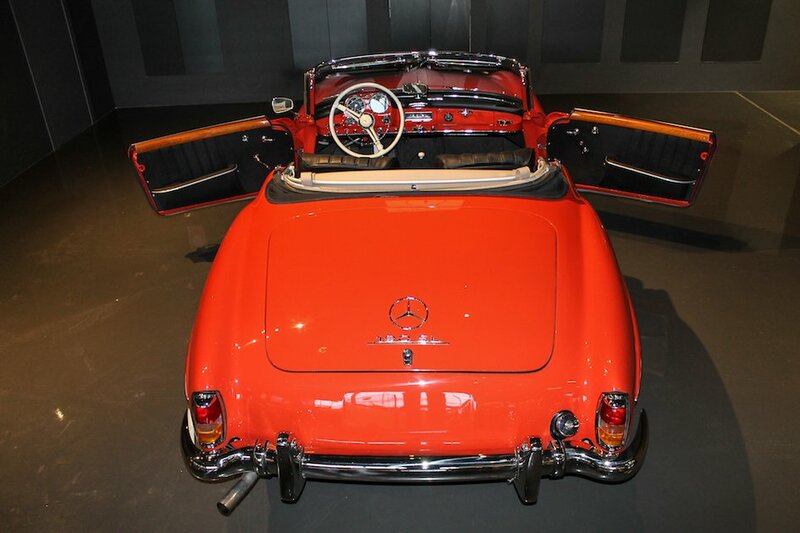 The automotive world was turned upside down in February 1954 when Mercedes-Benz unveiled the 300 SL Gullwing Coupe and 190 SL Roadster on its stand at the New York International Motor Sports Show. 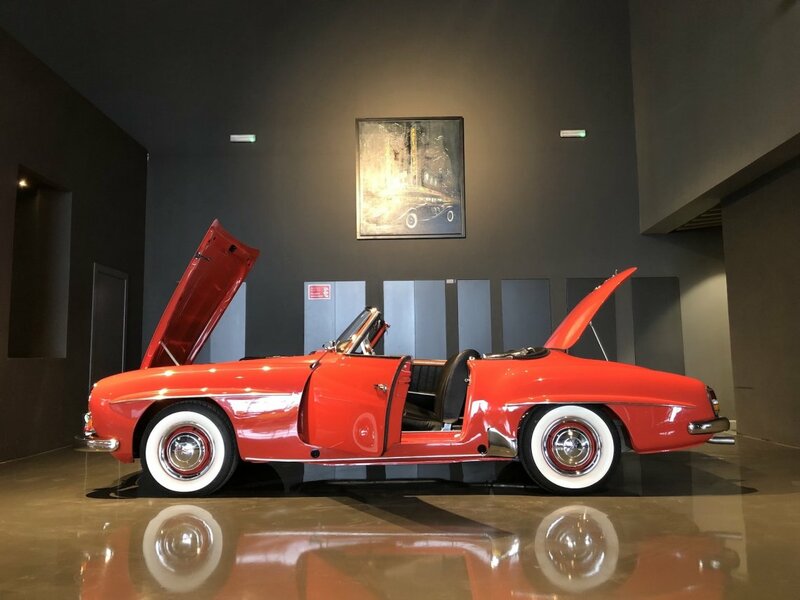 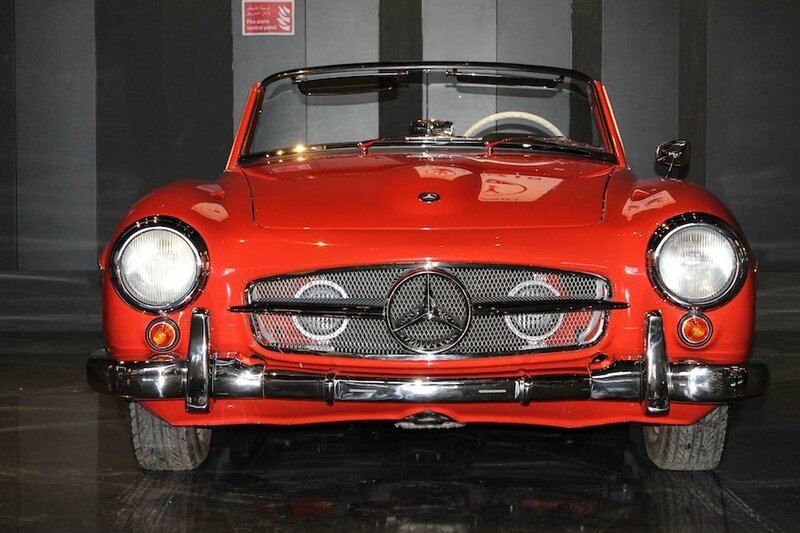 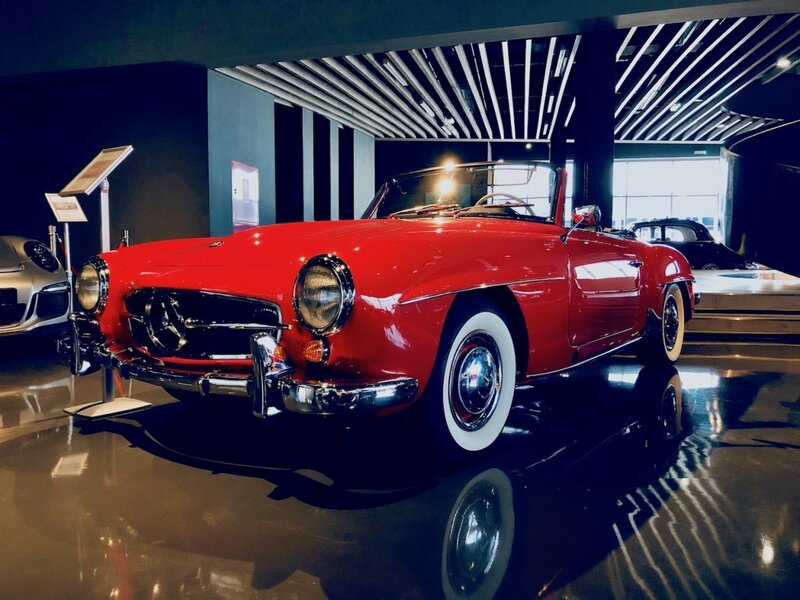 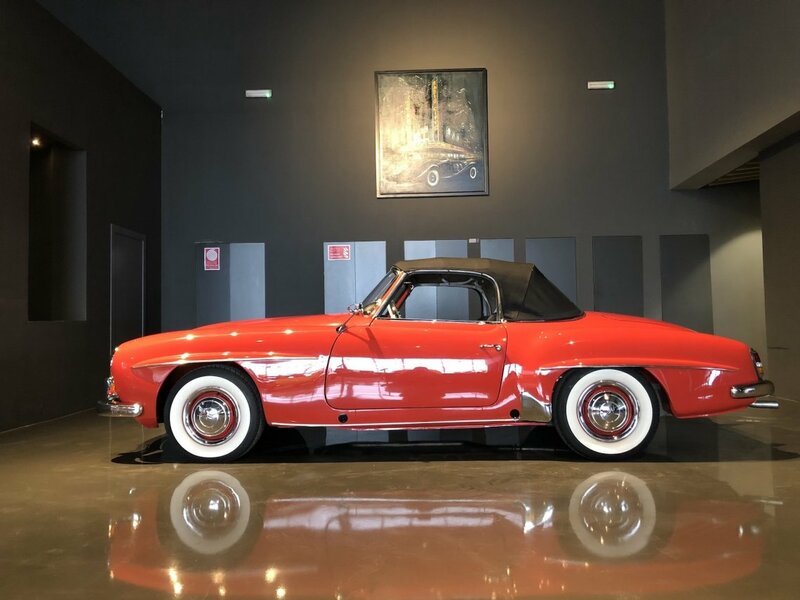 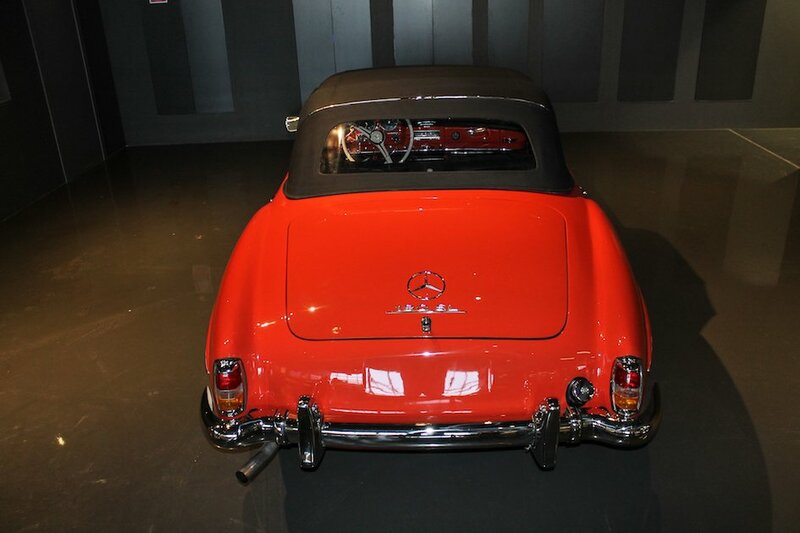 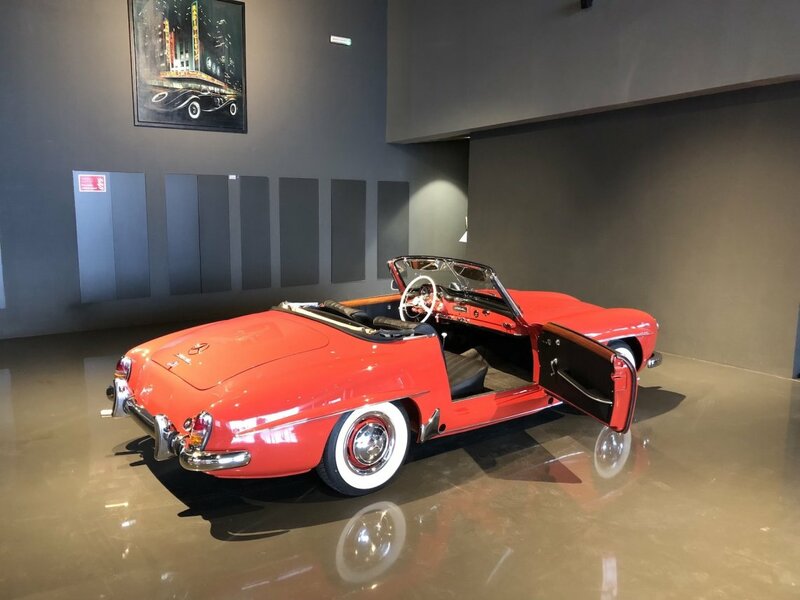 The 190 SL Roadster was the vision of Max Hoffman, the legendary importer of Mercedes Benz, who realized the growing appetite for fashionable sports cars in the United States. 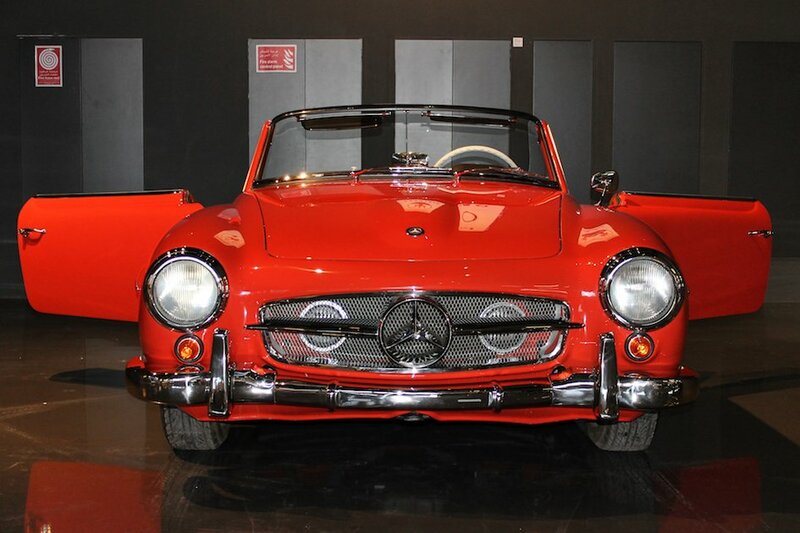 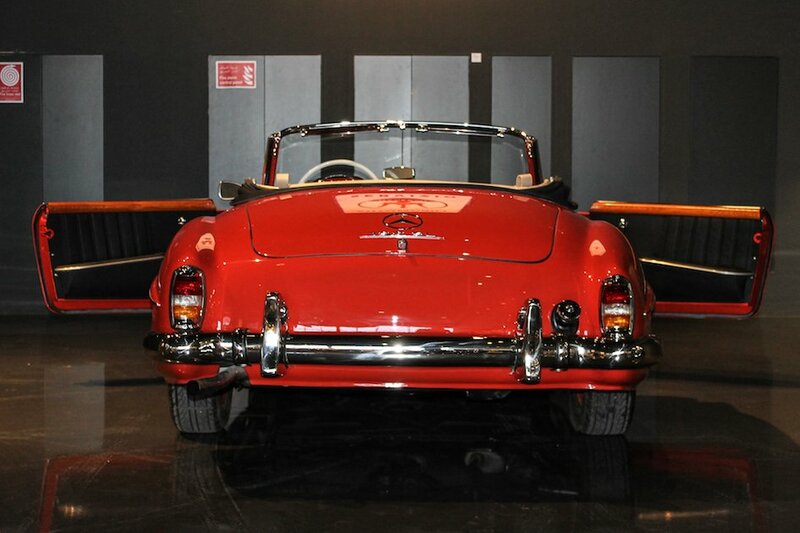 The 190 SL Roadster was designed after Hoffmann guaranteed to buy a sufficient number to justify production. 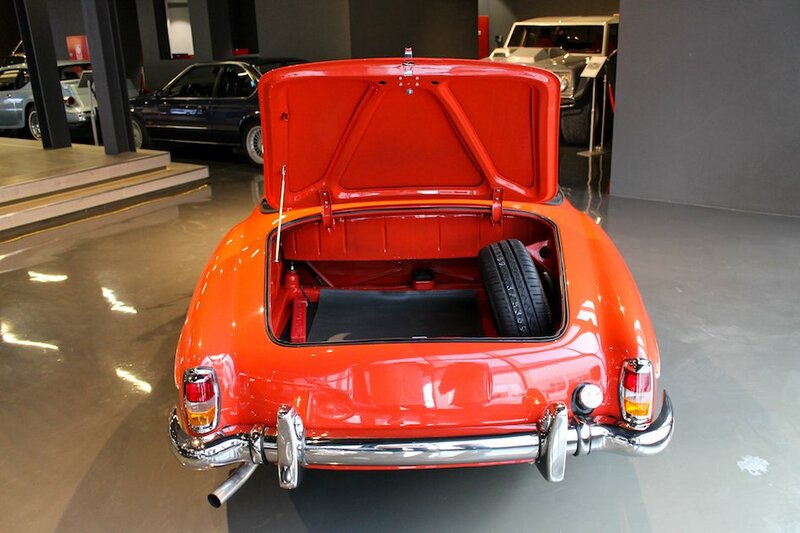 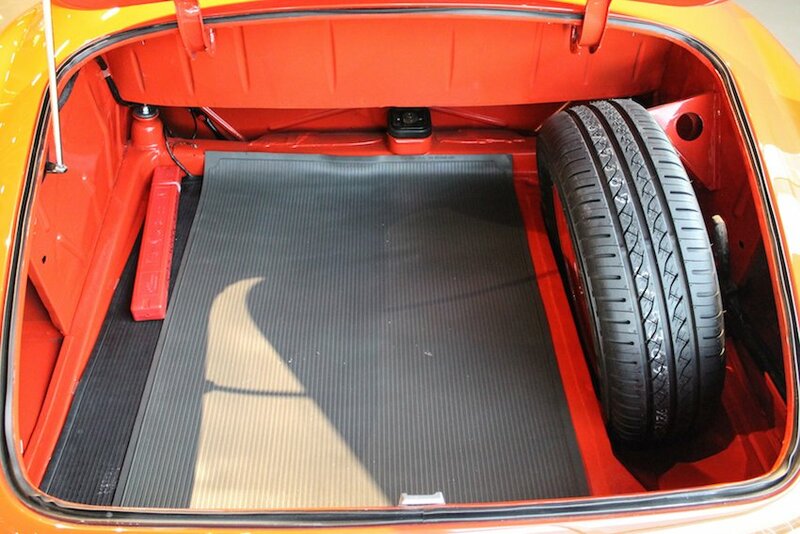 The example offered here at the Nostalgia Classic Cars showroom was produced in 1960 and went through a complete restoration. 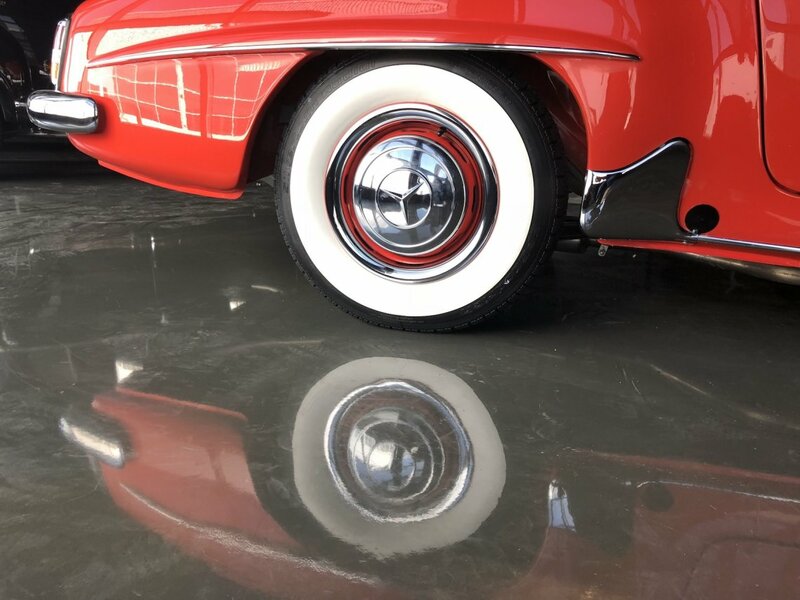 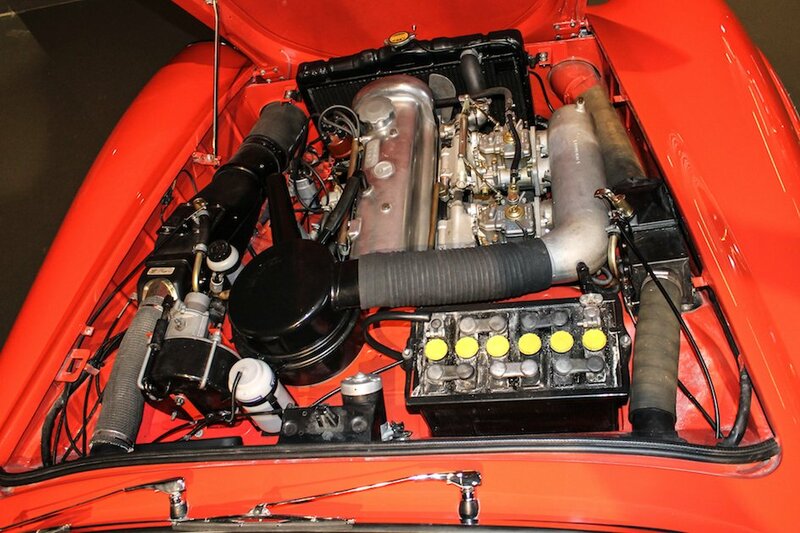 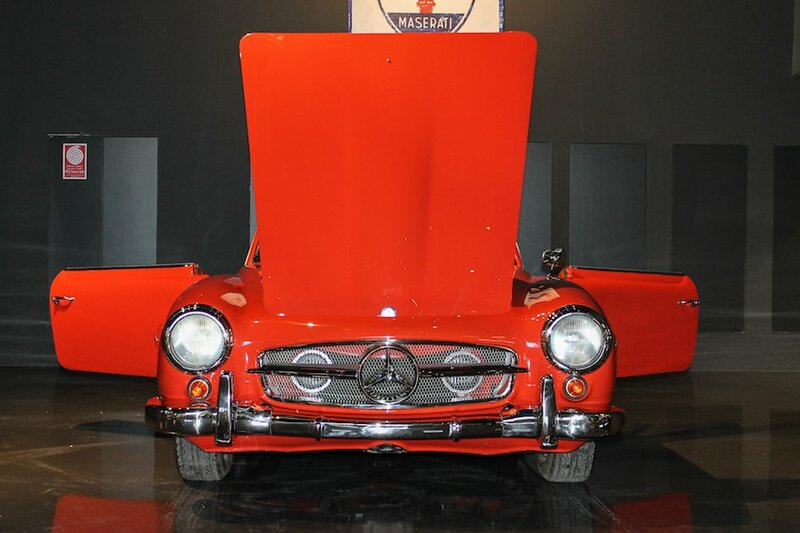 The engine and transmission were completely disassembled and rebuilt using Mercedes-sourced parts and the car was finished in the original Mercedes-Benz red color. 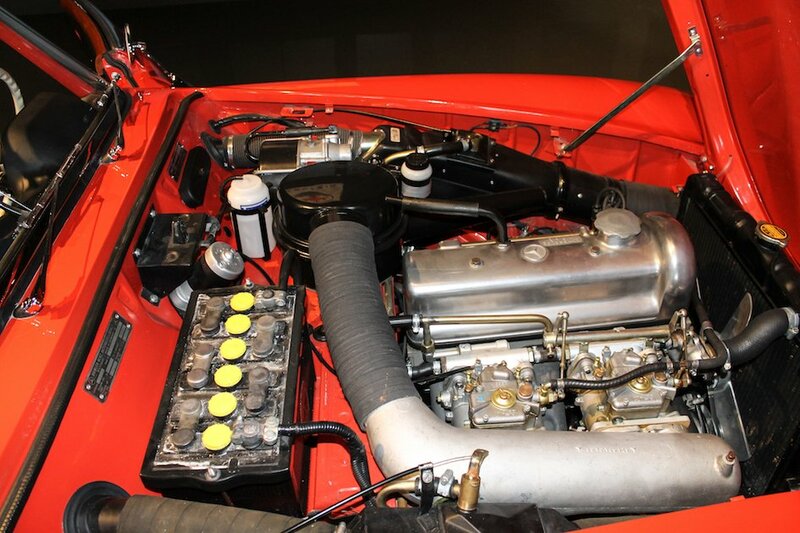 It has a 120 bhp, 1,897 cc inline four-cylinder engine, a four-speed manual transmission, independent dual-wishbone front suspension with coil springs and tube shocks, rear single-pivot swing axle with coil springs and tube shocks, and four-wheel hydraulic drum brakes. 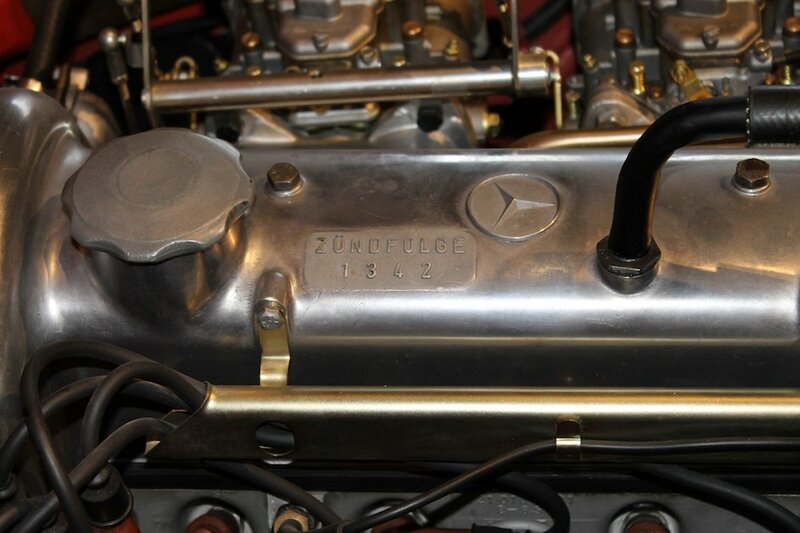 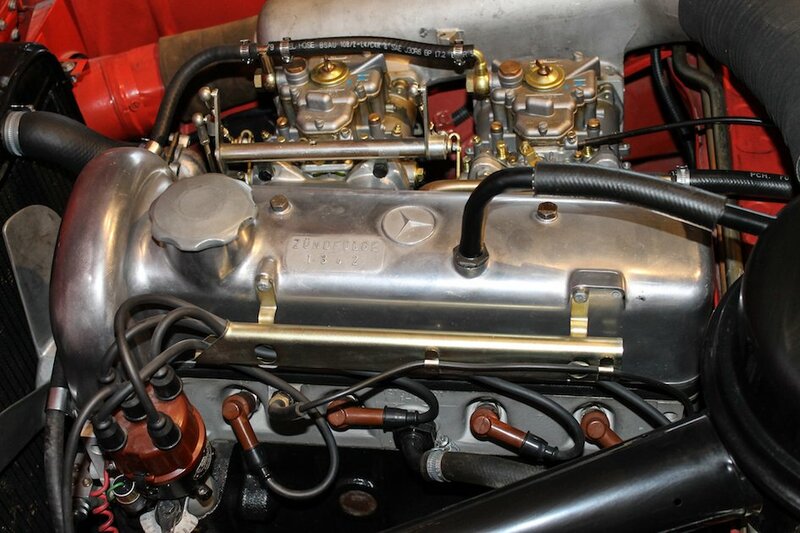 The only deviation from original specifications was the use of Weber carburetors instead of the unreliable Solex 44PHH. 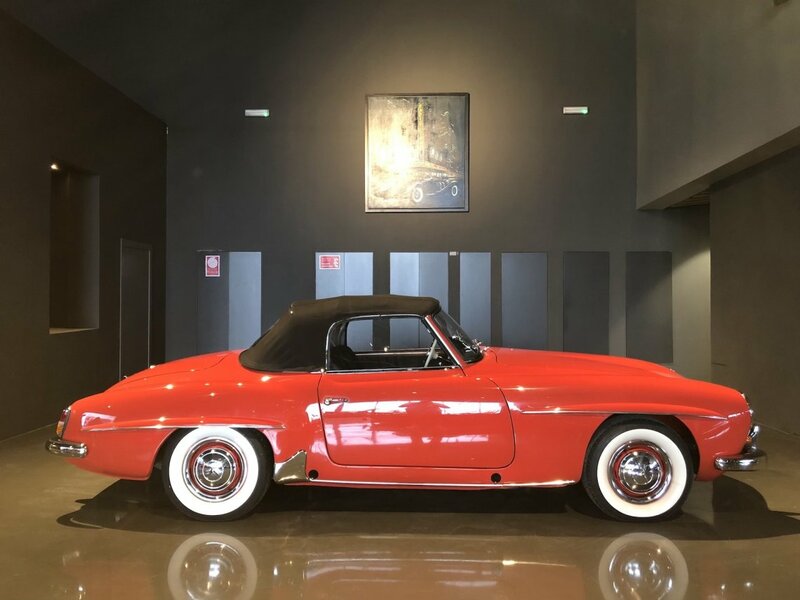 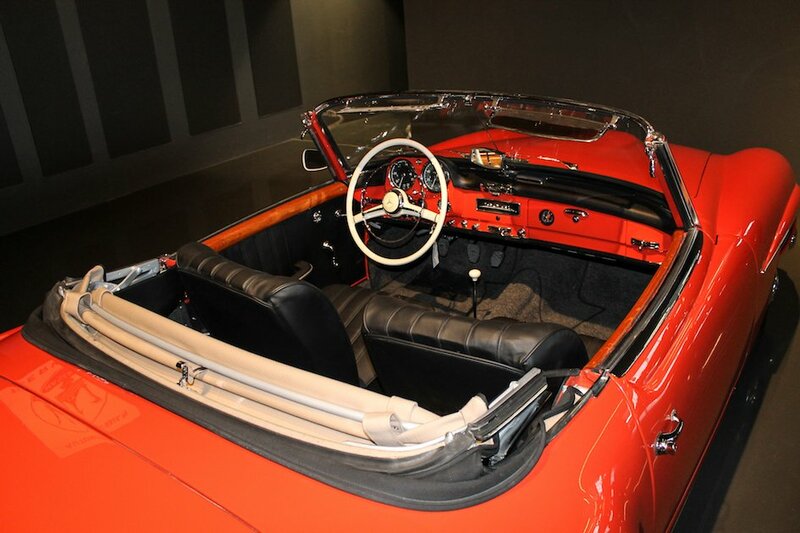 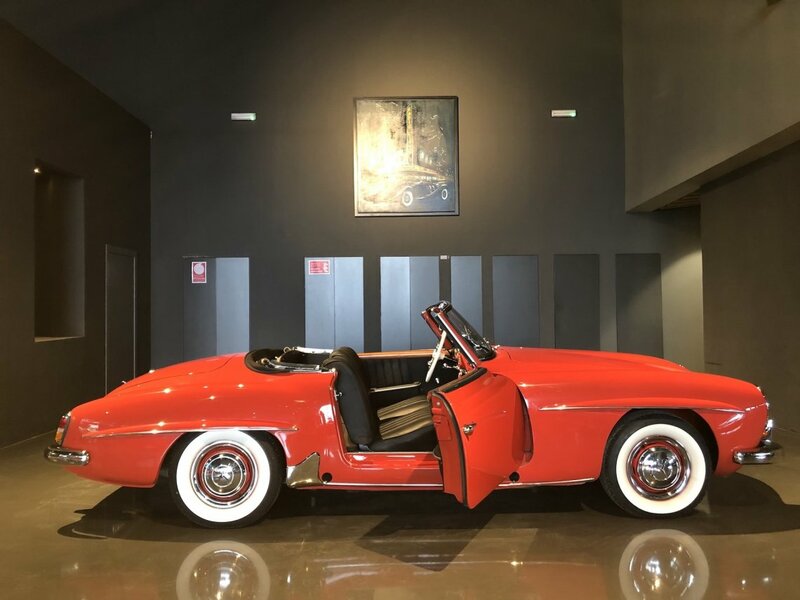 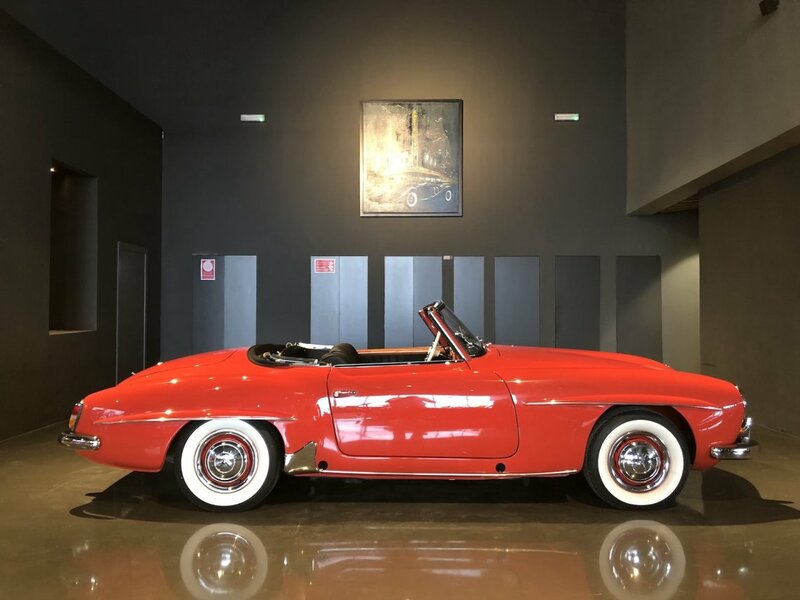 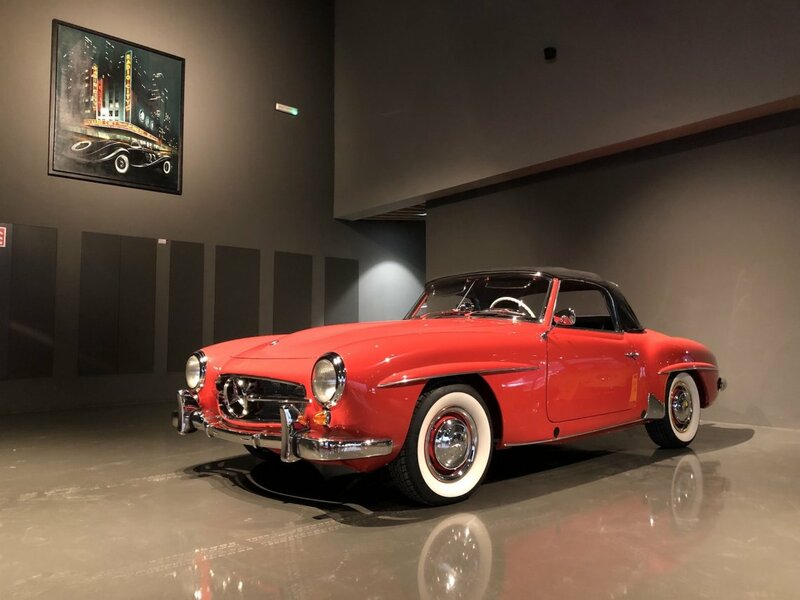 190 SL, with its comfortable seats, well-tailored convertible top and beautiful interior was always the synonym of style and luxury and it promised something different than other sports cars coming from Europe. 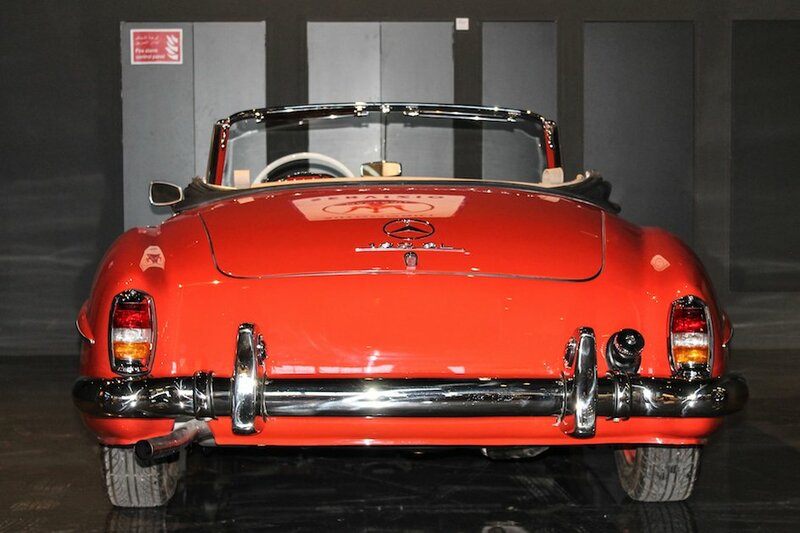 It was a choice of Hollywood actors and famous celebrities all around the World, even Grace Kelly was driving a silver 190 SL on the movie screen, with Frank Sinatra as her passenger in the movie High Society. 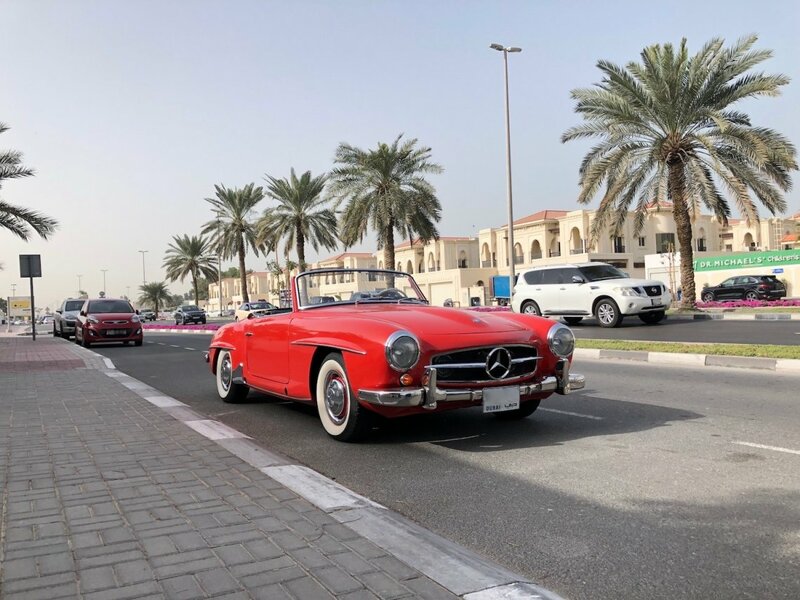 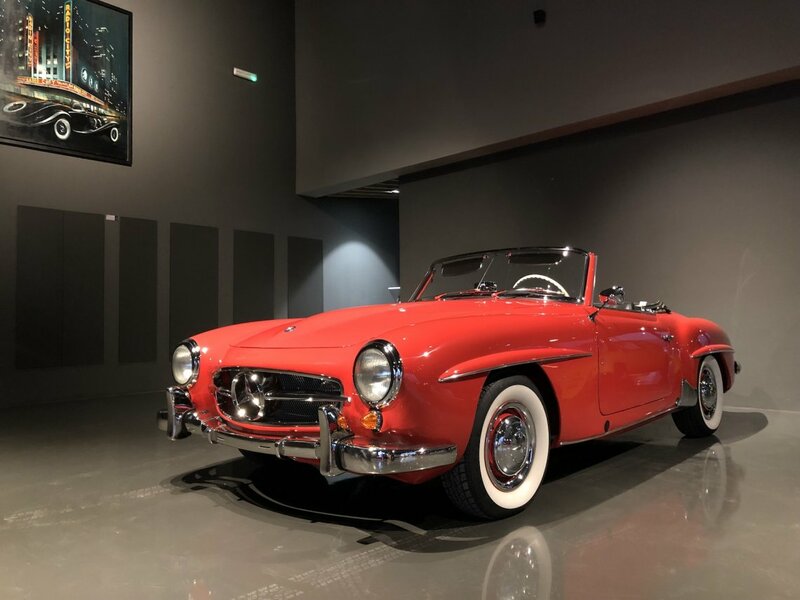 The 190 SL Roadster was truly a milestone and huge success for Mercedes Benz, it was in production until 1963 and the design elements are still used to create modern Mercedes Benz cars.